I was out of town for the opening of the 2012 Flower & Garden Festival at EPCOT. But finally made it over for a quick jaunt around the park on Monday. I only had time to hit the highlights and, while there’s technically a bit less this year than last, what they did install is amazingly beautiful. 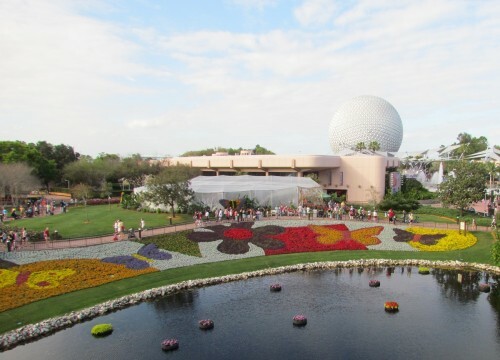 EPCOT’s 2011 International Flower & Garden Festival opens today. 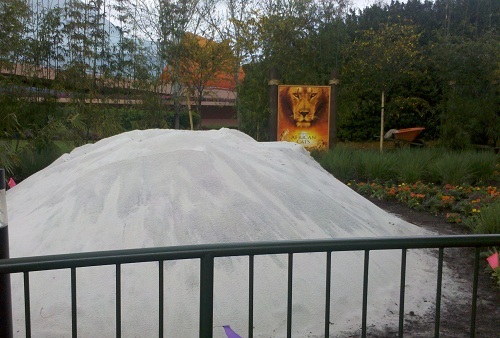 While I won’t be able to make it out until this weekend, I did send a spy today who took these sneak peeks of the preparations still underway for one of my favorite events at Walt Disney World. 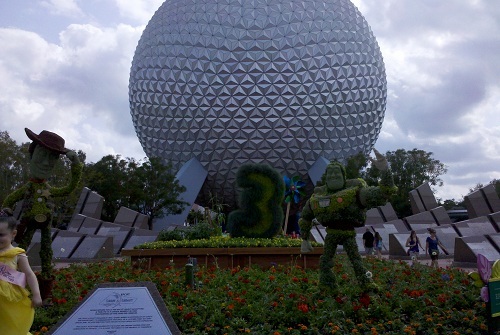 Familiar toy shaped Topiaries from Toy Story 3 will great guests as they enter EPCOT. And there will be sand sculptures again. This year highlighting Wild Cats from the DisneyNature label. Here’s a cute ad for this year’s EPCOT International Flower and Garden Festival. 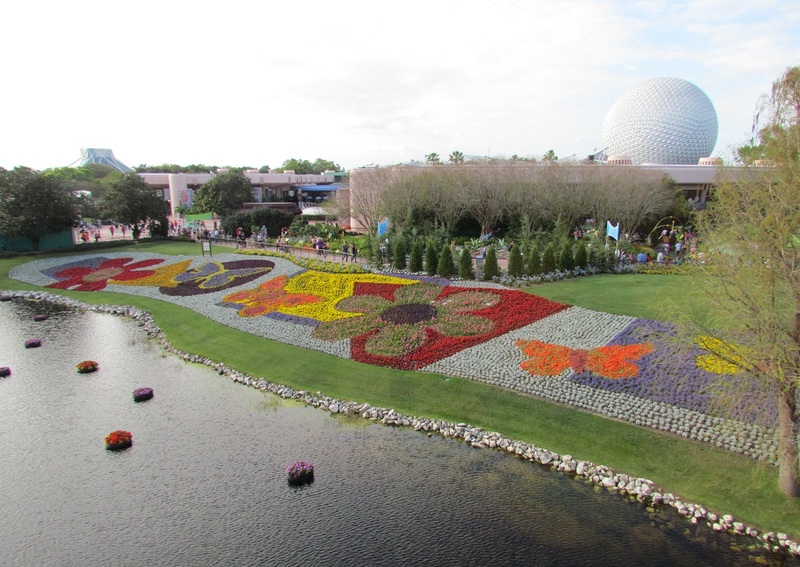 Preparations are underway at Walt Disney World’s popular EPCOT theme park for the 18th annual International Flower and Garden Festival. It opens March 2nd and runs through May 15th. 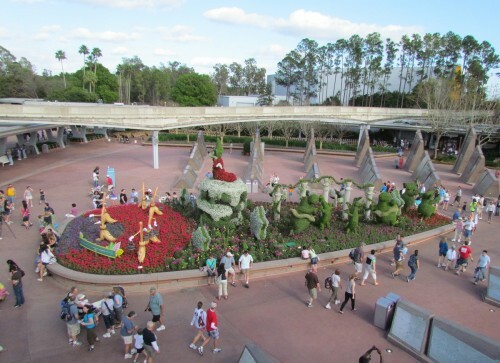 In addition to the usual fun exhibits and beautiful displays, Disney welcomes a new sponsor to the festival this year with the home improvement channel HGTV importing the celebrities and how-to that will help the festival bloom. 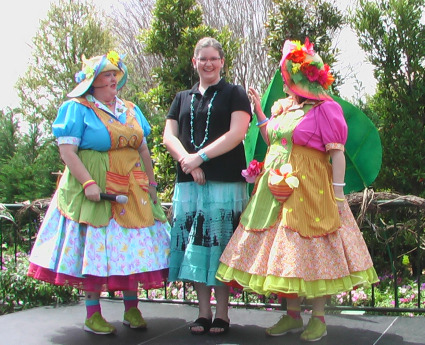 Also returning to EPCOT’s Flower & Garden Festival are Tinker Bell and her Pixie friends promoting the fourth and final (?) film in their direct-to-DVD series. 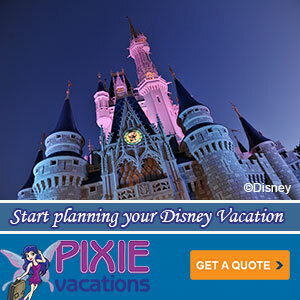 That series continues to improve every year and Disney’s in park promotion for the pixies gets better too. Can’t wait to hear what they bring this year, I hear that they’re introducing a new winter pixie from the next film. HGTV’s first-time sponsorship will feature weekend appearances by its acclaimed designers and landscaping experts. The star-studded lineup includes Genevieve Gorder, Lisa LaPorta, Kim Myles, Brian Patrick Flynn, Taniya Nayak, Ahmed Hassan, Patti Moreno, Michele Beschen, John Gidding, Frank Fontana, and Vern Yip. The winner is brought on stage as part of the ceremony where she endured jokes about her height with dignity. The winner and her family was flown out from Frazier Park, CA about 100 miles from Disneyland. The fairy house, inspired by 15-year-old winning designer, Zoe P., was revealed during a special ceremony attended by EPCOT VP Dan Cockerell, and director Brad Raymond and producer Helen Kalafatic of “Tinker Bell and the Great Fairy Rescue”, the third film in the recent Tinker Bell DVD series. 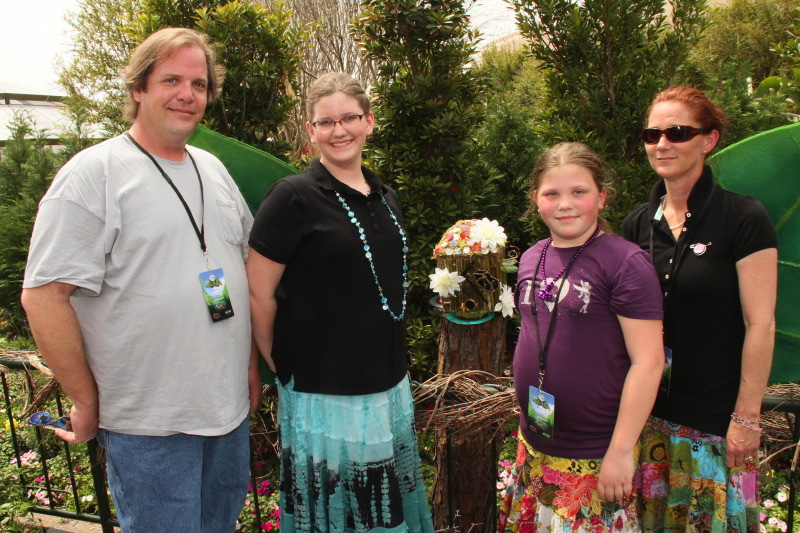 With a dash of pixie dust from Tinker Bell, Zoe revealed her winning fairy house. 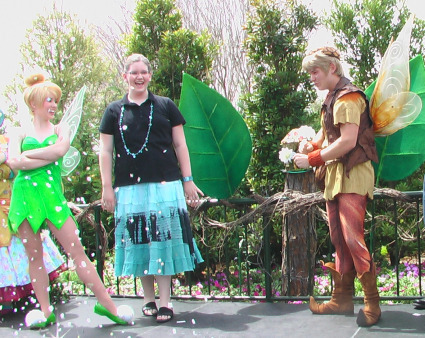 “Tinker Bell and the Great Fairy Rescue” features Tink’s first encounter with humans. Tink is caught inside a Fairy House built by a little girl to provide shelter for the fairies as they work to bring summer to England. 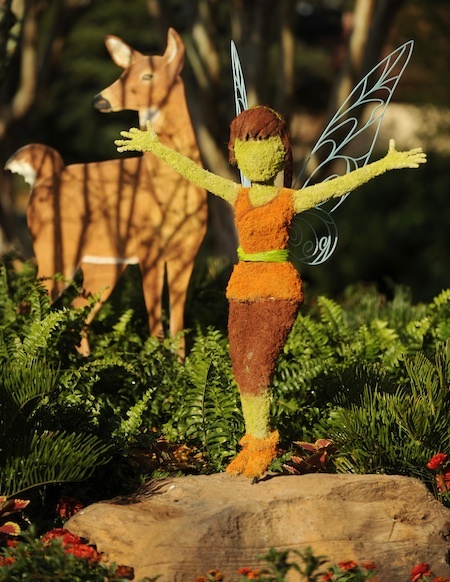 The girl and Tink develop a great friendship, while the other fairies attempt a rescue. Zoe was the perfect choice for this award. She and her family are huge Disney fans and visit Disneyland at least once a month. After seeing the contest on Pixie Hollow, she new she had to make a drawing. They raced to the post office to drop off their application right at the last minute and never expected to win. Not only did Zoe’s drawing inspire the winning house, she was able to help build it by assisting Disney’s talented team of fairy house architects. The main focus of the house is the copper and brass fixtures on the front, which Zoe figured would confer and exclusive status to the house. In the concept a rubber band would be hooked to the front door and, through a series of clock gears, would generate music on the attached music box, alas that part didn’t make it into the final build. 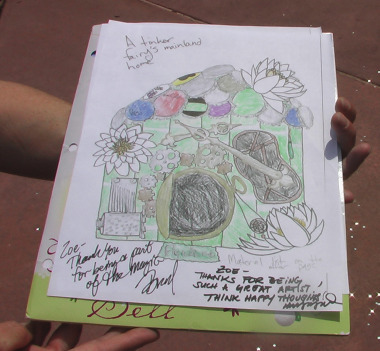 The winning drawing, now autographed by the movie’s director and producer. She also wrote a backstory for the house. Of course there are two hidden mickeys in the design. The vinyl record base makes mickey and there is a bottle cap on the roof with the iconic ears. But even more special is the ‘Ellie Badge’ Grape Soda bottle cap, which you can barely see under the flower on the roof. Zoe’s whole family are huge fans of Pixar and particularly the movie “UP”, when I saw Zoe’s mom wearing an Ellie Badge of her own, I knew right away she was one of us, a Disney fan. It’s clear Zoe has a talent for telling a story through art. That’s one of the main requirements to be an animator, which, as it turns out, is Zoe’s career choice. I hope someone at Disney Studios is able to make her happy again and arrange a tour through their offices and Walt Disney Animation Studios. Zoe with the plaque that bears her name. 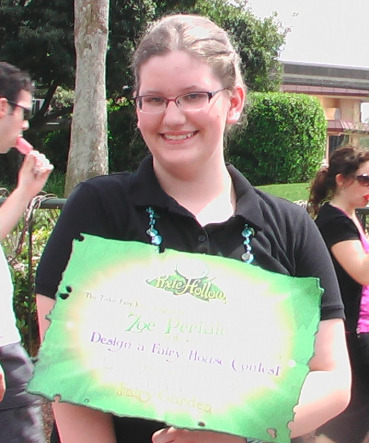 Zoe’s house will spend the rest of the festival as part of the Pixie Hollow playground in a place of honor next to a plaque bearing her name.